Rhonda was looking for some flowers for her deck so we visited a couple of shops in town. I spotted on astronomy-themed flower at Home Depot. 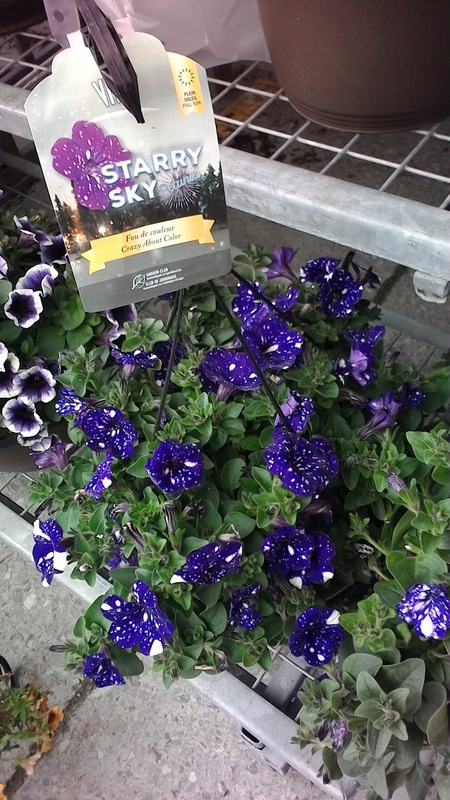 Indigo Starry Sky petunias. Sometimes known as Night Sky. Shot with an ASUS MemoPad.